Secret Service Starts To Share On Twitter : The Two-Way No laughs and no real secrets. Just the facts, folks, so far. But maybe sometime we'll see a little inside dope about the POTUS, FLOTUS or VPOTUS? #VPOTUS cracks us up. But one more Amtrak story and we're putting in for overtime. Special Agent training doesn't prepare you for that! Alas, the new U.S. Secret Service Twitter page is focusing on serious subjects. -- "During National Police Week, the Secret Service pays tribute to our fellow law enforcement officers who have made the ultimate sacrifice." 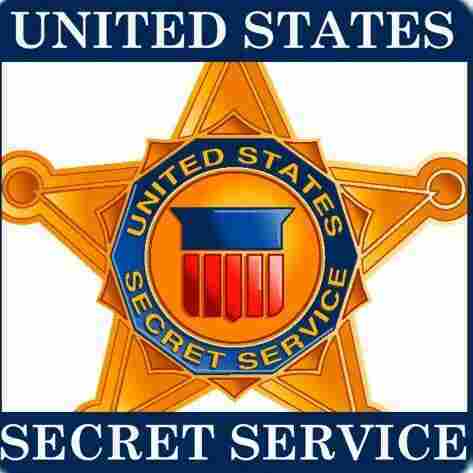 -- "Today, the 300th Special Agent Training Class graduates from the Secret Service training center. Congratulations, SATC 300!" -- "Most agent classes have 24 students and train for 27 weeks. Learn more at http://www.secretservice.gov/join/careers_agents.shtml." "By using social media sites, we hope to supplement our recruitment efforts, while providing an informative, helpful tool to businesses and individuals who are interested in information from our agency." -- "Waiting outside men's room." -- "Hands crossed, standing still, feeling good." -- "@JoeBiden Stop that. We can see you doing that." By the way, we looked and don't find a Twitter page for the CIA — which is on YouTube and Flickr.